W hat history? Once upon a time... ... a bassguitar player Karel Kühpast said to himself, that it just had been enough of scamping! He went to see his old friend/singer Dalibor Halamicek, who asked him to record a CD with him. He also mentioned, that he's looking for a guitar player as well. 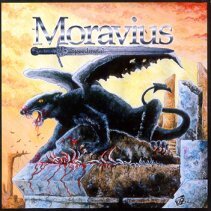 Karel didn't think long and brought a guitar player Petr Strauch - and the idea of the band Moravius was born. But after some time Karel decides to leave the band. Petr and Dalibor release a mini CD called Back Again, which is a fererunner of a new album called King's grave. But it takes a whole band to record a CD. So the band goes through some professional changes. Finally the band joins a guitar player Petr *Zabak* Trunecka and a drum player Petr *Slayer* Svrcina. The post of a bass player was taken by Jarda Dufek, the ex-member of the band Salamandra, where Dalibor was previously singing, too. 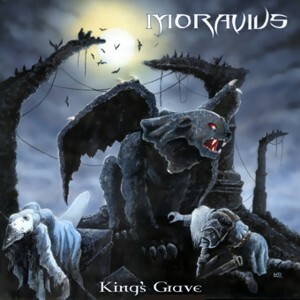 As a last new co-player Lukas *Boney* Lipina joins the band as a keyboard player... and the band Moravius is complete! Moravius is curently preparing a concert repertoire, and it's getting ready for hopefully all the stages in our country. Petr's druff-melodic and sometimes damn fast music, as well as outstanding lines can grip many addicts of this type of music. Up to now reverberation on both CD's, the music video, which is presented on a TV channel Ócko, and also the best rating in magazine Spark enquiry "Album of the month" for the mini EP Back Again, let us unticipate a great interest in our band.